Vilnius is the capital city of Lithuania and its biggest city. The city is visited by numerous tourists every year and this Article will point out the most significant reasons of visiting the city, including visiting the most popular UNESCO World Heritage Sites. First of all, it is worth to start going sightseeing Vilnius from the Castle Mountain called also Giedymina’s mountain. It offers a beautiful view of the city and is also a place where the Lithuanian princes resided from the 13th century. You can see here remains of the castle. There is also a Gothic tower called the Gediminas Tower where the observation deck is placed. The second important sight of Vilnius is the Gate of Dawn or The Sharp Gate that is also called the Miednicka Gate. It is a real symbol of the city and is a remnant of the defensive walls that used to surround Vilnius. There is the entrance to the Ostrobramska chapel that is a very important place for Lithuanian people as well as Poles. It is worth to pay attention at a miraculous image of Our Lady of Ostra Brama. There are usually a lot of pilgrims here, especially on the 16th of November when people come to celebrate the day of the patron of Lithuania. 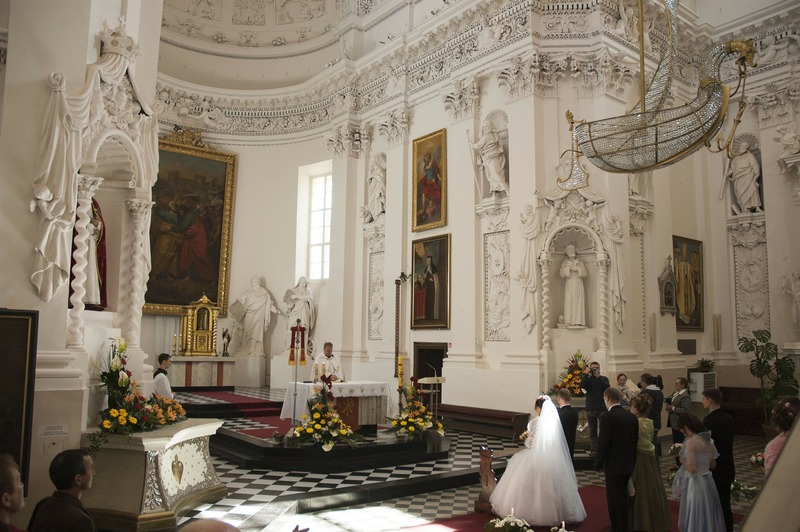 The Marian Sanctuary is rich in numerous gifts, including those donated by Marshal Piłsudski. Moreover, the tourists should also pay attention at the picture of the Mother of God that is richly decorated and it is the biggest ornament of the building. The third place worth visiting is Saint Anne’s Church. It is one of the most important medieval monuments of Central europe in accordance to many guidebooks. It was constructed as a small church in the fifteenth century. It was built in the so-called Flaming Gothic. It is also said that the Napoleon Bonaparte saw it and he was delighted with the church. If you are in the neighbourhood of the church, it is worth to visit the monument dedicated to famous Polish writer- Adam Mickiewicz. The monument is placed close to the church. Another tourist attraction of Vilnius is the Zamkowa Street. It is the main tourist pedestrian zone often visited by foreign guests that can admire beautiful buildings located at the street. It is also a place where you can relax in one of the numerous cafes or restaurants. There you may also purchase traditional Lithuanian souvenirs in one of the colourful shops. It is also worth to pay attention at the charming tenement houses dating from the fourteenth to the eighteenth century. London – a great place for a city break! Vilnius – why is it so special? Amsterdam and its cuisine: what is worth eating?